Chronic back or neck pain can be the worst and most limiting types of pain. Surgery is sometimes necessary to treat spine pain either caused by a serious accident, injury, or medical condition, or when chronic pain does not respond to nonsurgical treatment options. Spine surgery is more advanced than ever and many spine procedures can now be performed using minimally invasive techniques, rather than open surgery at New Jersey Spinal Medicine and Surgery in Glen Rock and Maywood. This benefits patients tremendously because they experience greater symptom relief in a shorter period of time. To understand how this is possible, it helps to know the key differences between open spine surgery and minimally invasive spine surgery. Minimally invasive spine surgery is performed using a much smaller incision than open surgery. Small tube shaped retractors, rather than large muscle dissecting ones, are used to create a narrow opening for the surgeon to accesses the spine. X-ray fluoroscopy and a microscope allow the surgeon to visualize the area of interest in the spine. 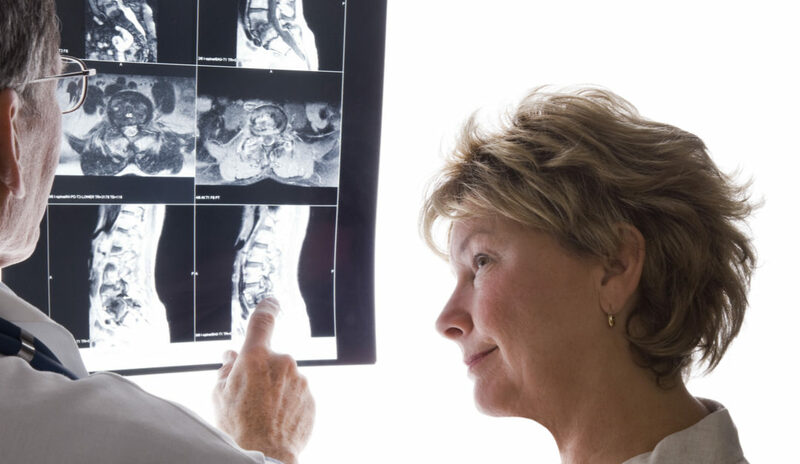 Common conditions that minimally invasive spine surgery can be used to treat include vertebral osteoarthritis, spinal stenosis, and a herniated disc. The two most commonly performed minimally invasive spine surgery procedures are a discectomy and a spinal fusion. The procedures can be performed on the neck (cervical spine) or lower back (lumbar spine). A discectomy involves the removal of pieces of diseased and/or damaged intervertebral disc that are compressing one or more of the spinal nerve roots. A spinal fusion is a similar procedure but with an additional step. Once the disc is removed, a bone graft spacer and small screws are used to stabilize the spine. Patients who would like a solution to their spine pain problem are encouraged to make an appointment with one of our Orthopedic Spine Specialists, in our Glen Rock or Maywood, NJ offices, who can help you customize an appropriate treatment plan based on your unique condition and lifestyle. Patients who choose our office can find results that last.